How Do Probiotics Work For Constipation and Gas? There is a growing body of evidence showing that probiotics help digestive symptoms. This evidence has anecdotal, clinical and research origins. But how do probiotics work? One popular theory is that probiotics repopulate the gut. Scientific research has not currently proved this argument. Another hypothesis is that probiotics help to rebalance the friendly bacteria by killing the harmful microbes. Read on to learn about a recently published research study that shows how probiotics work for constipation and gas. A recent study published in the PLOS One journal has shown that probiotics can help reduce gas and improve constipation by decreasing certain “unfriendly” bacteria in the gut. 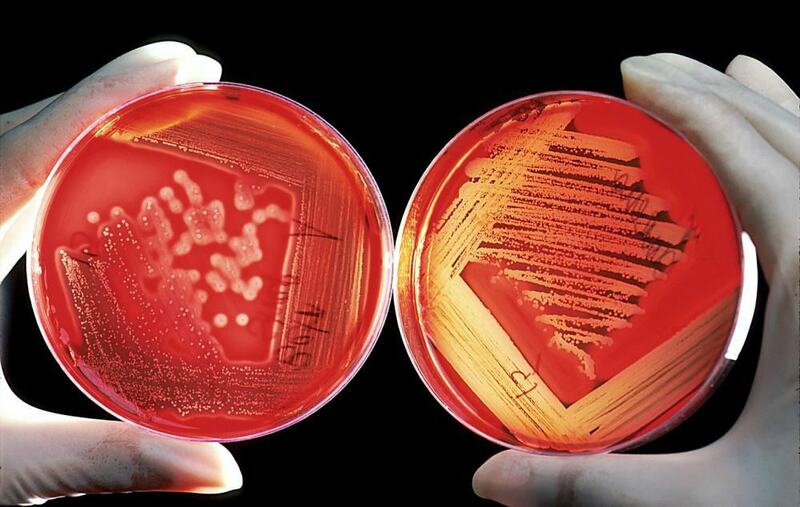 These unwanted bacteria included Citrobacter, Klebsiella and Methanobrevibacter. The researchers recruited 21 healthy adults. Each adult took a probiotic mixture. The composition of the mix included five strains of Lactobacilli and two strains of Bifidobacteria. Each adult received the combination once a day for 60 days. At the end of the study, the researchers found that there was a significant reduction in the numbers of Citrobacter, Klebsiella and Methanobrevibacter bacteria. This decrease in bacteria coincided with a decline in gas and constipation. More specifically the researchers were able to show that there was a direct association between the reduction in abundance of Methanobrevibacter, the decrease in flatulence (for all the adults) and a decline in constipation (for women only). This finding is not a surprise as there is a close correlation between Methanobrevibacter species and constipation and the production of methane gas. A frequently overlooked ability of probiotics is their antibacterial effect. Probiotics can produce antibacterial and antifungal peptides (chemicals) that help reduce bacterial overgrowth in the gut. The researchers concluded that the probiotics work for constipation and gas through their antibacterial effect which led to the reduction in the unfriendly bacteria. There have been many studies like this one that show that taking probiotics may help reduce digestive symptoms. These studies have used different types of probiotic species. As well as Lactobacillus and Bifidobacterium there are two other classes of probiotics including Saccharomyces boulardii and Soil Based Probiotics. Does it matter which probiotics you use? The simple answer is no, but it does matter which particular probiotic supplements you buy. Make sure you purchase a high-quality scientifically tested product that is safe. Be wary of marketing that claims that a product can help with specific symptoms. If you do decide to take a probiotic, then listen to how your body reacts and ignore any purported claims. If you don’t feel any improvement or your symptoms worsen, stop that supplement and move on to the next. Constipation is a big problem for millions of Canadians each year. When a person doesn’t eliminate entirely and daily, their body is in a toxic state. Persistent constipation is a symptom that should not be ignored. Constipation is a lack of daily bowel movement (normal is 1-3x per day), straining to eliminate or hard stools or unfinished elimination. If you have constipation, I suggest the following four-step process that I use in my practice to identify and resolve the cause of your symptoms. Eat more mindfully. Avoid eating on the run or while watching the television. Remember to chew your food. Bring more movement into your life. This can be as simple as taking a regular walk in the morning or consider joining a yoga or pilates class. Check side effects of medications you are taking. More than 150 prescriptions and many regularly used over-the-counter medications can induce constipation. These can include certain acid blocking, antidepressant, cold, painkiller, high blood pressure, and high cholesterol medication. Manage or reduce the stress in your life. Exercise and mindfulness techniques such as meditation have been scientifically proven to reduce stress. Consider what you might be ‘holding on to’ or not releasing in your life. Emotions can have a powerful effect on how our bodies work. If you are holding on to loss or sadness from your past then this can affect the functioning of your intestines. If the above suggestions give you no or partial relief then it is time to consider whether your diet is causing your constipation. This step has two parts. Part 1 is adding in foods that can help speed up bowel movements, and part 2 is removing foods that may be causing constipation. Consume more fibre in the form of vegetables. Drink more water – at least 2 litres per day. If the above suggestions give you no or partial relief then it is time to consider introducing supplementation.